NoGoo non-stick Concentainers (concentrate containers) are made out of platinum cured silicone so even the stickiest concentrates will easily slide out. You won't lose any to the corners or sides of the container. 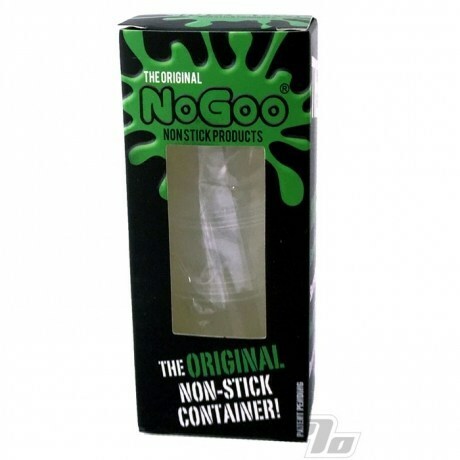 These reusable NoGoo containers are shatterproof and just bounce if you drop one! Easy to open, either twist off or gently squeezed the cap while separating the two pieces. NoGoo Non-Stick Containers are safe for the freezer, microwave and dishwasher, and come in a box of five containers in clear. One container measures 1.5 inches across and is 3/4 inch tall. Heat resistant up to 450 degrees F.
These little guy's are perfect.